Similar Balls: Same Hook Potential, Lane Conditions & Coverstock as the Storm Super Son!Q. Since the Super Sonic is an Upper Mid Performance ball, and the other two are High Performance balls, the Crux Prime and PhysiX will be more aggressive. I currently am using a GB3 hybrid. How does this compare to that hybrid? Im looking for something that grabs a little better in heavier oil. This ball has very similar features to the GB3 Hybrid and they are both designed for medium to heavy oil. 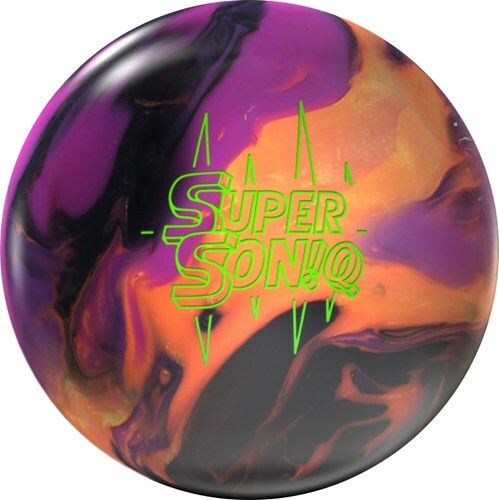 While this ball is an upper mid performance and the GB3 was a mid performance, the GB3 was duller out of the box so while the Super Son!Q was a stronger cover, it has a slightly smoother finish so you may not notice a big jump up in performance with this. You may prefer the Roto Grip Idol Hammer Web to give you a little stronger grip on heavier oil. 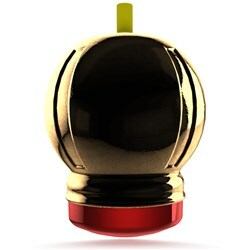 Can this be used for a dry lane ball? Or would it react differently? This would not be a good dry lane ball unfortunately. It is much to aggressive for dry lanes and it would cause the ball to read too early and roll out making it not carry through or hit well. It also would be hard to get the pocket because it would hook to strong on dry. Due to the time it takes to produce the Storm Super Son!Q ball it will ship in immediately. We cannot ship this ball outside the United States.